Santorini is a Greek island located in the southern Aegean Sea. It is around 200 km away from mainland Greece. Santorini is a part of the 220 islands which form the Cyclades, a name given to the group of islands in the Aegean Sea. In the past, Santorini has gone through phases of development and destruction. Greece is always a good choice for travelling because no matter what taste you might have, this country will simply mesmerize you. There are countries that you simply cannot miss, and you just need to choose them as your next vacation destination. 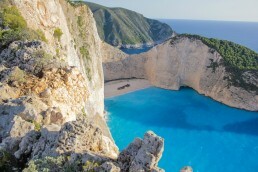 Greece is definitively one of them due to the amazing nature, beautiful seaside with incredible beaches, rich history, and colourful culture. Renowned worldwide for its rich history, unique architecture, and undying love for olives, Greece definitely nears the top of every traveler's destination list. The pristine country has a plethora of breathtaking mountains, forests and lakes, as well as thousands of rich islands, and is rightly ranked as one of Europe's top travel destinations. 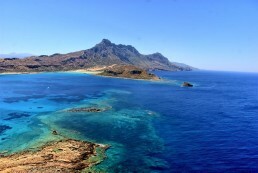 Some say that the largest Greek island, Crete, is closest you can get to paradise on Earth. Well, they are not far from the truth because Crete has everything from a beautiful sea, amazing beaches, picturesque nature, to colorful culture and rich past. There is something for everybody, so planning your next trip here will definitively be an awesome choice.